The RTHP-B-150 features large clear aperture of 150 mm and provides arc-second resolution when driven from a micro-stepping or brushless servomotor controller. 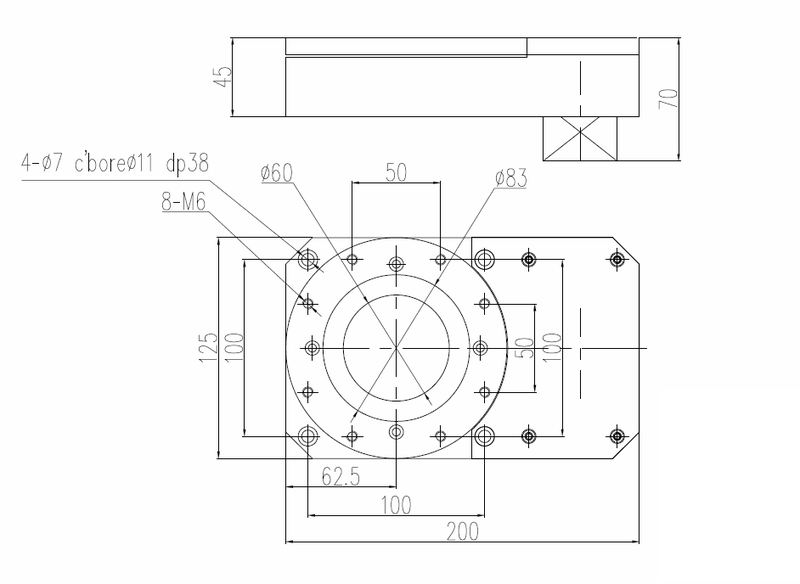 The low profile design is made possible by the use of compact precision bearing. 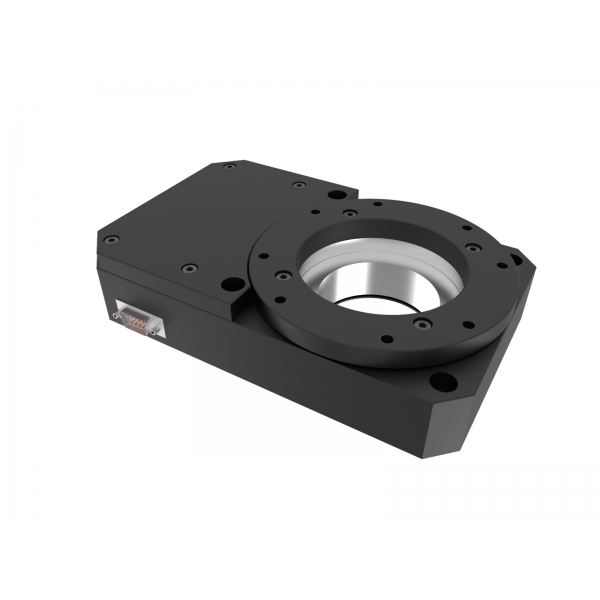 The rotating carriage of the stage provides unlimited motorized rotation angle of the load up to 50kg and has large clear aperture to allow the passage of the optical path or cables directly through the stage. The main body of the stage is made from lightweight anodized aluminum and can attach directly to an optical table or moving linear or XY actuators and can be mounted at any orientation. RTHP-B-150 stage uses belt drive with stepper or brushless servo motor to achieve high rotating speed. Lightweight design makes it easy to incorporate this rotary stage into high dynamics XY-Theta multi-axes stages.